Hello! In case you didn’t realise Fabulous Masterpieces can paint beautiful horse portrait paintings based on your favourite photographs. All you need to do is email: horses@fabulousmasterpieces.co.uk with a photo that you’d like your portrait artist to base your horse portrait on with an idea of size. That’s it! 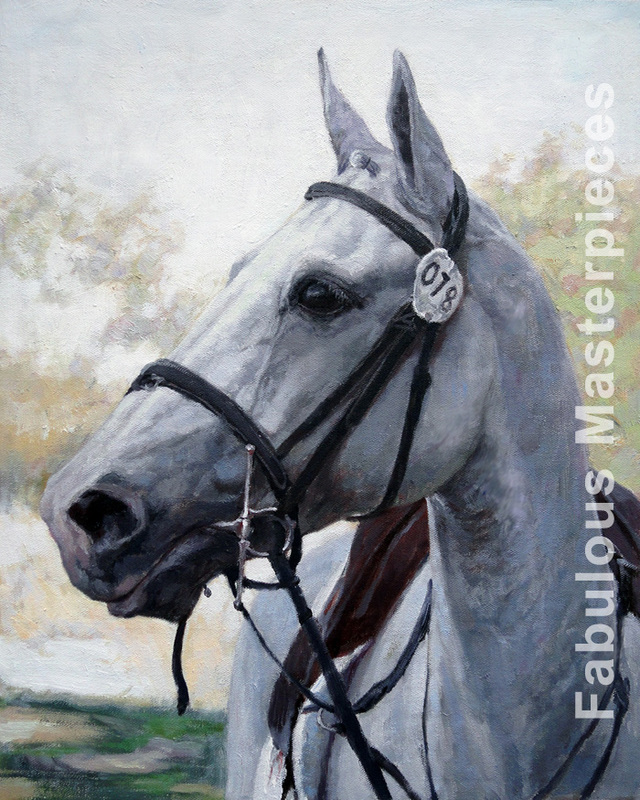 Your horse portrait artist will then hand paint you a wonderful horse portrait in oils onto canvas. Should you wish your artist to make any changes to it once you’ve seen it then that’s not a problem. We want you to be thrilled with your horse portrait! All portraits are lovingly hand painted onto canvas. If you would like to see an example of our horse paintings take a look at Jerry the horse below and visit our horse portraits page. If you’re not sure on the precise dimensions that you’d like your horse portrait to be don’t worry, we are happy to give you advice. Prices for horse portraits start from £250 and worldwide delivery is free.